Ten at the Top plans to host 2-3 gatherings of the Upstate Professional Planners during 2019. Be on the lookout for upcoming meetings and workshops by visiting the events page. 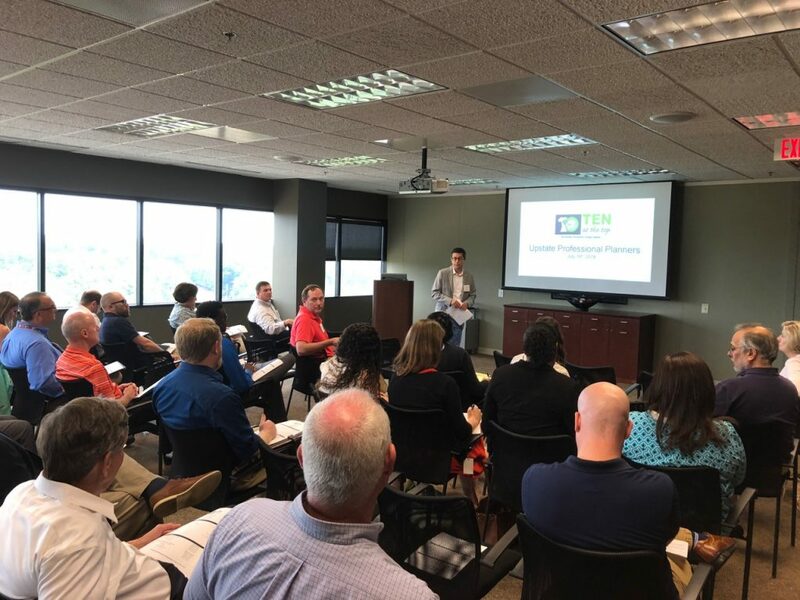 During 2018, Upstate Forever, Ten at the Top and the Appalachian Council of Governments hosted four training sessions for professional planners and elected officials, combining for a total attendance of over 100 individuals. • Preferred Development Patterns, Who Chooses? The workshop series will continue in 2019 with opportunities to earn Continuing Education credits in relevant content.